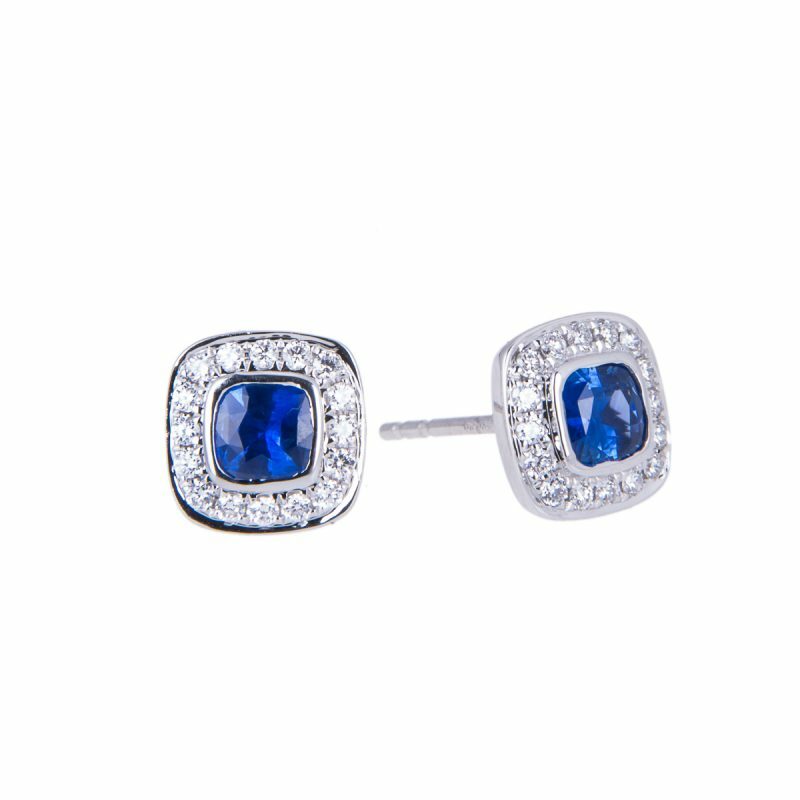 18ct white gold sapphire and diamond stud earrings mounted in a claw setting with post and butterfly fittings. 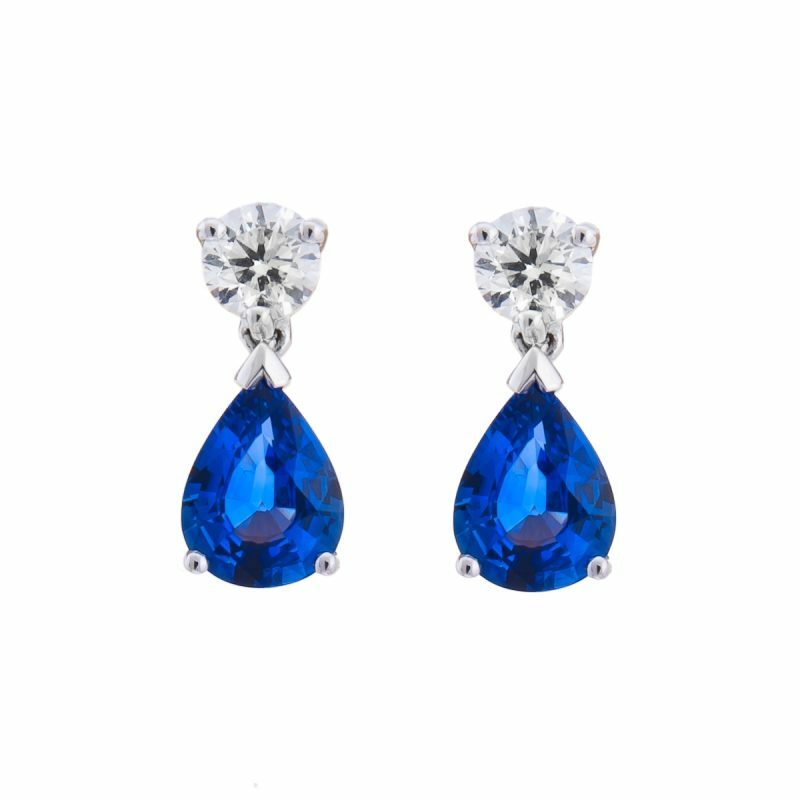 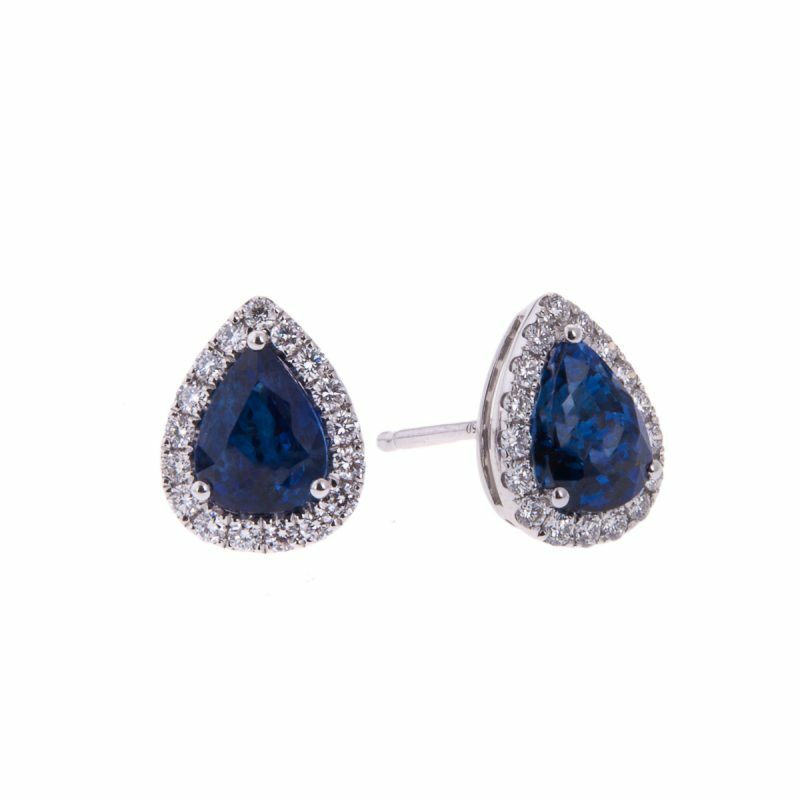 Take a pair of matched pear shaped sapphires and add the frosting of brilliant cut diamonds. 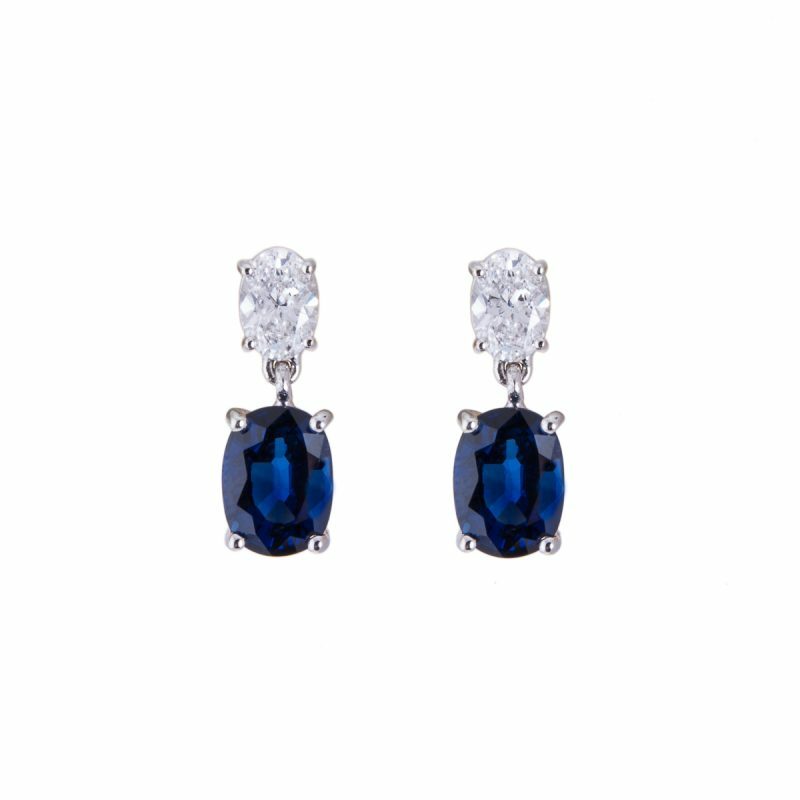 A perfect combination, rich, velvety blue, the tones of a summer midnight sky complete with its own halo of stars. 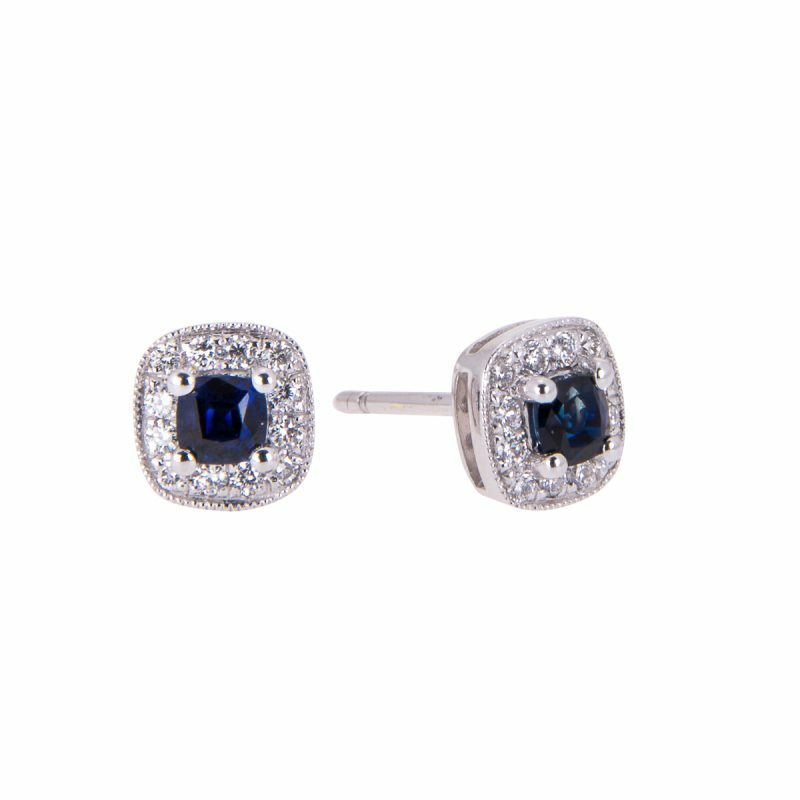 Whether worn in the daytime or evening, they will always be the perfect combination.